Ryan Simpson and Jim Pollicina emerged victorious in a drama filled Jacuzzi Spas Australian Production Car Series Phillip Island 6 Hour to confirm themselves champions in 2018. 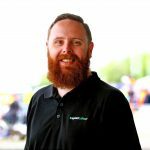 Sharing a Lous Exige, the pair managed to stay out of trouble while their title rivals struck drama with both the Tony D’Alberto and Grant Denyer Lotus Exige, and Iain and Grant Sherrin BMW M4 suffered tyre failures. D’Alberto and Denyer headed into the race leading the championship but had their hopes dashed after a lengthy stop to replace a shock absorber which fell victim when they suffered a blown tyre. The Sherrin Racing entry also struck tyre issues which saw it in the lane twice within half an hour shortly after their first scheduled pit stop. 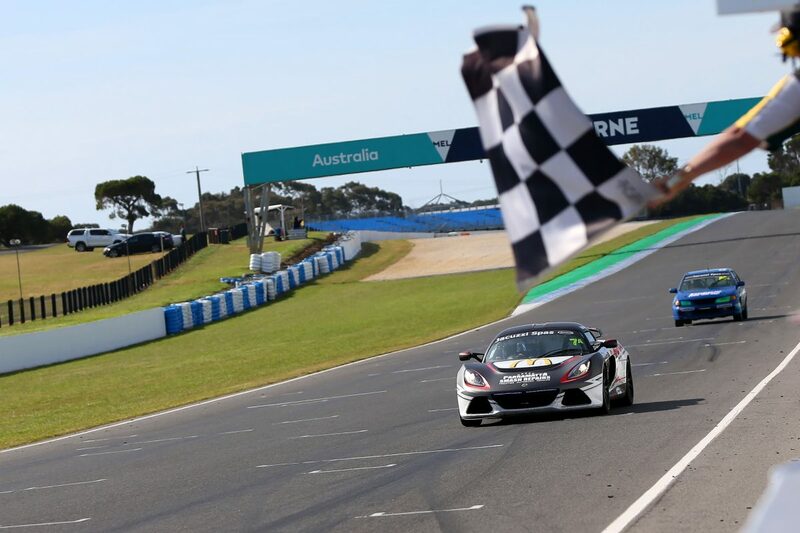 It saw the race play into the hands of Simpson and Pollicina who won by 3.9 laps despite serving a drive through penalty for a pit lane infringement inside the final third of the race. Despite their setbacks the Sherrin brothers finished second while Mark Eddy and Francois Jouy nursed a troublesom gearbox in their Audi TT RS to third. “That is a surprise, it feels good,” said Simpson. “We believed we could do it, and usually when you believe in things they can come true. “We did everything we could, got the car prepared properly and just did our part. Co-driver Pollicina believes a conservative approach to the race ultimately paid dividends as they escaped much of the drama that befell their rivals. “We had no tyre issues, we had a pretty determined strategy as to what we were going to do with the tyres and the driving stints and we stuck to it all the way through,” he said. “We were conservative on the tyres, we drove the car straight and kept it off the ripple strips. “We looked after it when we needed to look after it and Ryan went fast when we needed him to go fast and we drove within the car’s ability instead of just going out there and tearing up gear. Taking victory in Class A2 for normally aspirated ‘extreme performance’ cars were Chris Lillis and Nathan Callaghan, while Class B1 went to Scott Gore and Keith Bensley in a BMW 135i. The other classes went to Garth Walden, Michael Auld and Richard Bloomfield (Class B2), Cem Yucel and Iain Salteri (Class E) while single entries in classes C and D saw the wins go to Calum Jones and Colin Osborne, and Matt Thewlis and Richard Luff respectively. Supporting the Australian Production Car Series at Phillip Island was the Australian Prototype Series presented by Hot Wheels. It was Jason Makris crowned champion after winning two of the weekend’s three races. He headed Peter Johnston and Dimitrios Zartaloudi in the opening race before winning from Phil Hughes and Johnston in the 16 lap Race 3. Mark Laucke won Race 2 from Paul Braico and Zig Fuhrmeister, with Markris only fifth.